Tony Beck was born in Annandale Va. and grew up in nearby Leesburg. He received a BS in Electrical Engineering from the University of Arizona and currently works in that field. He has been a history buff and student of the War Between the States for about as long as he can remember. Although his first reenactment was in the late 1970s, he had been shooting Civil War guns for many years before. By 1984, he had become an active reenactor, living historian and North-South Skirmisher. Tony's first original Civil War gun was a broken Spencer carbine, which was repaired and converted to centerfire using his dad's lathe to make the parts. This carbine still sees service in N-SSA competition. Since then he has fixed, restored or built from parts a wide variety guns from the War Between the States and Indian Wars eras. 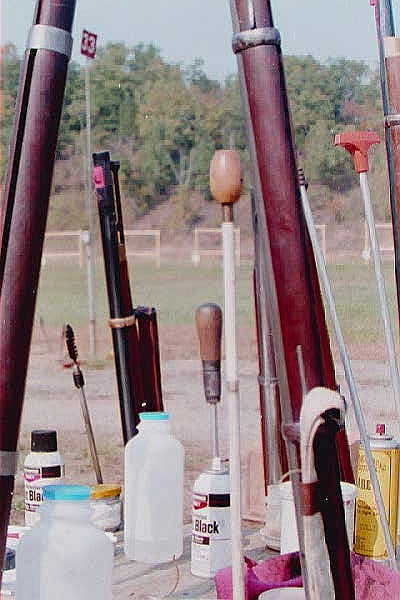 Tony began writing on Civil War weapons for the 4th Va. Cavalry newsletter. His articles have since appeared in the Dixie Gunworks Annual, the N-SSA magazine "The Skirmish Line", and on the Civil War in Charleston website, as well as here at www.civilwarguns.com. In addition to writing, he has appeared on KUAT's Arizona Illustrated in a segment about the Civil War in Arizona, and has been an extra in several movies set during the Civil and Indian Wars. Currently, Tony lives in Charleston S.C. with his wife and their daughter. He shoots with the Coastal Rifles, 1st Georgia Volunteer Infantry, an N-SSA team he helped to organize, and reenacts with friends in the 1st South Carolina/ 1st US Cavalry when the opportunity arises. In addition, he presents living history in schools and for local organizations. We are lucky to offer some fine research by Tony Beck, Skirmisher and Civil War Writer.